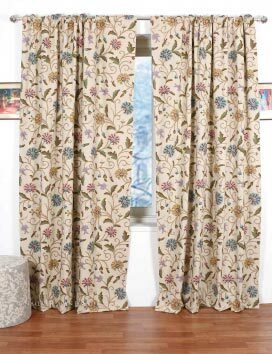 If seeking for purchasing Sosan Hand Embroidered Cotton Crewel Curtain Fabric at levelheaded prices, contact us! We are a dependable name in this area of operation. To provide complete satisfaction to the customers, we offer only defect-free range of products that are tested against varied quality parameters.